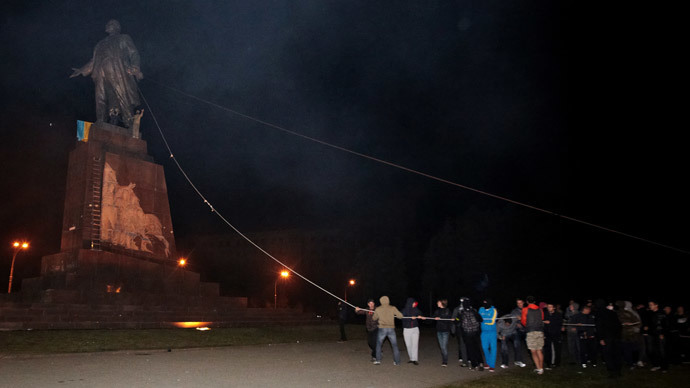 A leading Communist Party member has attacked Ukrainian radicals for demolishing the monument to Bolshevik Revolution leader Vladimir Lenin, in Kharkov, saying their actions resembled a scene from a zombie horror movie. The scenes of people showing disregard of history and the ideals of their grandfathers, reminded Igor Melnikov of “zombie films where the virus is rapidly spreading." Sergey Obukhov, another Communist Party official said that Ukraine's current borders come from the Ukrainian Socialist Republic, which was established during Lenin’s rule in 1917. 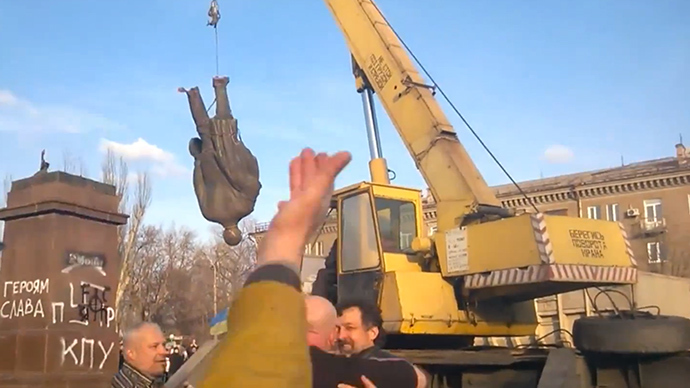 On Sunday, the participants of an ultranationalist rally in central Kharkov used cables and cranes to bring down a 20-meter high Lenin monument, one of the largest in the country. 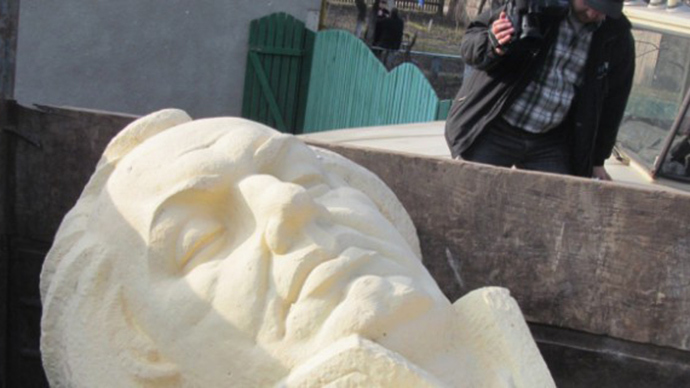 On the same day, another monument to Lenin was destroyed in the town of Dergachi in the Kharkov region. 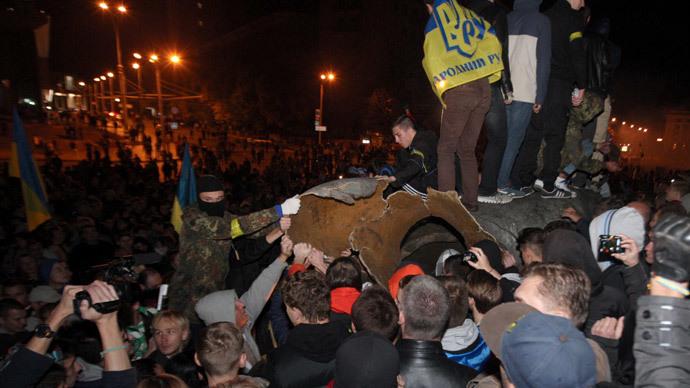 The Ukrainian Interior Ministry has announced that a criminal case of vandalism against those responsible for the demolition of the Kharkov monument is now closed. 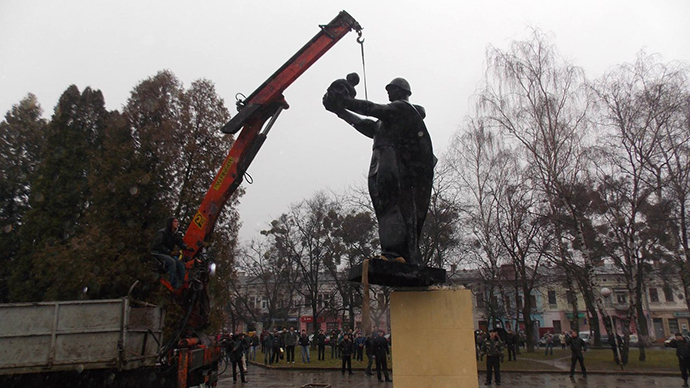 The ministry said in a statement that the Lenin monument was dismantled legally, following orders issued on Saturday by Kharkov Region Governor Ihor Baluta. 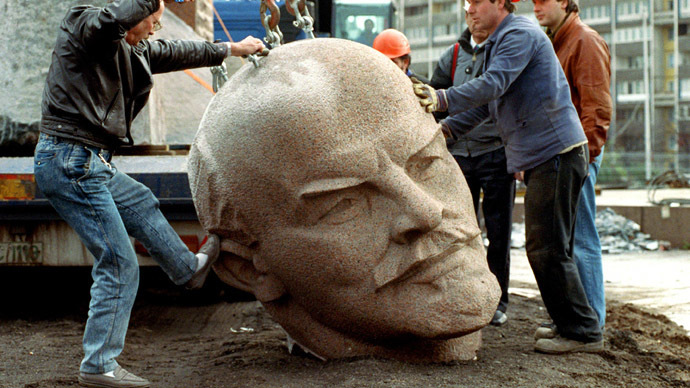 Kernes, who survived an assassination attempt in April, promised that the demolished Lenin monument will be restored. “I don’t think that now is the right time to wage war on historic monuments. I don’t think there’ll ever be time for this. Kharkov has always been a tolerant city,” the mayor told a Russian radio station. 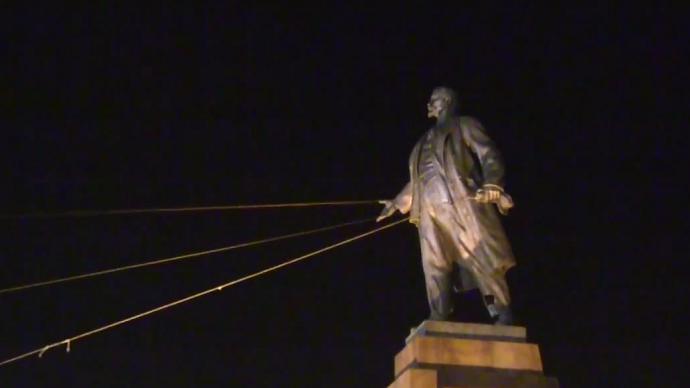 The Lenin monument in Ukraine’s second-largest city of Kharkov has been a traditional gathering spot for activists, who have refused to recognize the coup-imposed authorities in Kiev and are demanding federalization of the country.